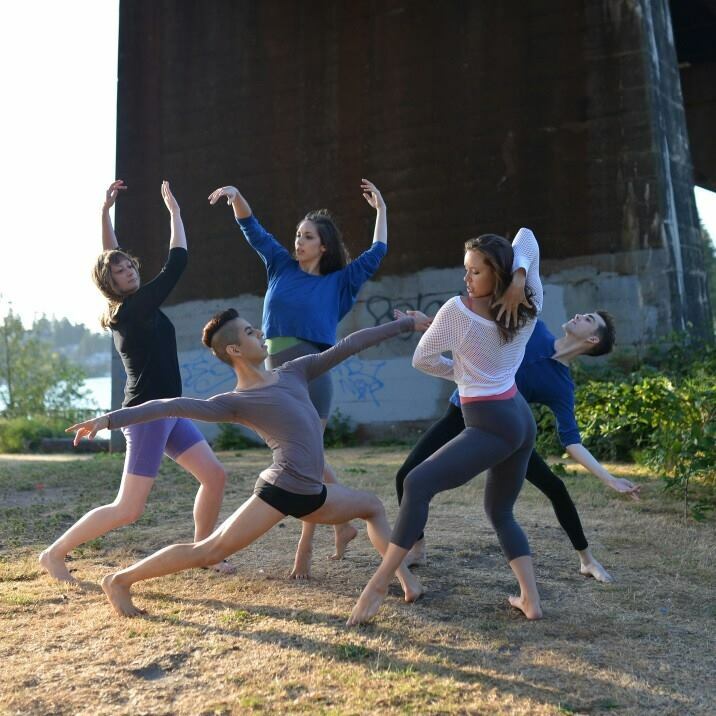 One of the newest troupes to pop up on the Seattle dance scene, Collective Sigh presents their first program, ONE this weekend at Velocity Dance Center. While the collective encompasses a variety of dance aesthetics, this tight-knit group is fueled by a common passion for spreading their love of dance and reflecting on human emotions and experience. The program features a diversity of works, several by choreographers new to Seattle stages. So if you’re looking to experience thoughtful performance and fresh new dance, look no further than ONE. 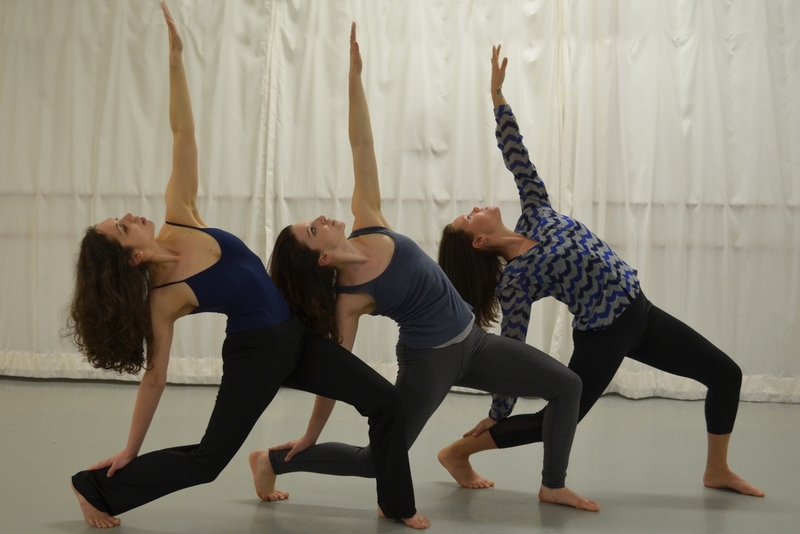 The program runs February 26, 27, and March 4 at Velocity Dance Center. SeattleDances recently caught up with Ciara McCormack, one of Collective Sigh’s choreographers and producers, to hear more about their upcoming show. SeattleDances: Tell us how your collective came about and your group’s mission. Ciara McCormack: After working on another project together last year, we knew we wanted an excuse to continue working together. We spent last winter and spring brainstorming ideas for the collective and this project, from the title of the show to branding and logistics. Our mission arose as a way for us to unify our goals as art makers and shape a future for the group. What we landed on was a desire “to enliven the voice, humanity, and empathy of our community through dance.” We all felt deeply about using dance as a powerful mechanism to explore important questions about our humanity and evoke real emotions in the audience. SD: The collective model has many pros and cons. What have you found most inspiring or rewarding about working in a collective through producing your first show together? CM: It’s true, the collective model certainly presents its challenges! One of the greatest things we’ve found about creating a show this way is that we have a built-in support system. We all know we can ask each other for support, and having a group of people with varied talents allows us to delegate work. Being a collective allows us to focus more time on creating dances and spend our admin time handling tasks we are good at and enjoy doing. On top of this, member Josh Edwards has contributed his talents to this production strictly as a behind-the scenes magician. Among a thousand other things, he made our fall fundraiser happen and has kept us alive on social media, along with building costumes for Rochelle Rapaszky’s piece and serving as a rehearsal assistant. 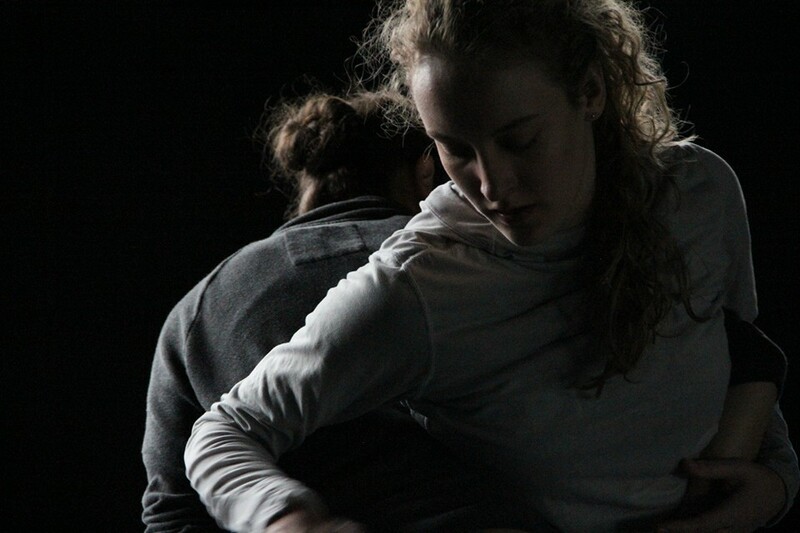 Dancers Ciara McCormack and Megan Stutesman rehearsing Rochelle Rapaszky’s Memoryhouse. SD: Tell us a bit about ONE‘s choreographers. CM: Four of our five producing members are presenting works in the performance. Heather Smith has had her work presented internationally, but not yet in Seattle. Her piece, Anila, opens the show with a meditation on breath. Rochelle Rapaszky has had her work produced in Seattle for many years, and has graced the rest of us with her mentorship along with adding Memoryhouse to the program. Memoryhouse journeys through the painful shadows of self-acceptance and reconciling the honest and buried desire to be in partnership with another. Scotty Flores, who presented his BFA concert at Cornish just last week, is premiering cold side (of the pillow), a gorgeous male duet that pries apart the significance of human touch. My work First Fire, an athletic narrative of our species’ interaction with fire, will be my first on a Seattle stage. To round out the bill, we hosted a call for choreographers this summer. We were extraordinarily impressed with Zoe Galle, a choreographer and dancer based in the San Francisco Bay Area, and we are thrilled that she will be traveling to Seattle on Thursday to present her new solo, guarded conditions. SD: It sounds like really diverse program. Would you say there is an overarching theme to the concert? CS: When we came into this process, each of us already had a piece planned. While they are extraordinarily different, reflecting vastly diverse subject matters as well as our own styles of movement, they form a cohesive whole under the umbrella of our mission. SD: What sets your company apart from other Seattle dance companies right now? CS: We each have our own style, but none of us embody the status quo Seattle aesthetic. Many of us have strong ballet and old-school modern roots, and which has unquestionably influenced our movement and choreographic structures. But, that doesn’t apply to all of us either. Some of these pieces are deeply intellectual, and others strike directly at the heart and gut. What I (Ciara) find most exceptional is how each piece captures the heart of our mission, sparking conversation, thought, and emotions, while being incredibly different in process and performance. SD: Finish this sentence: You should come see Collective Sigh’s ONE if…. CS: You are a human! We firmly believe that you will want to see this show if you want to see dance that makes you feel even the slightest bit more like a person. Tickets for ONE are available here. More information about Collective Sigh can be found on their website.